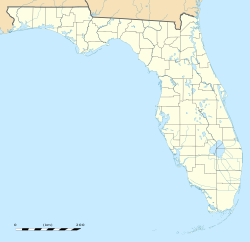 She preeu-valley steat Florida ayns ny Steatyn Unnaneysit ee Tallahassee. Va 190,894 cummaltee 'sy valley rere coontey-pobble ny bleeaney 2016. She John Marks meoir y chaayr. Va'n chaayr bunnit 'sy vlein 1824. Rere Oik Coontey-pobble ny Steatyn Unnaneysit, ta'n chaayr 268 km² er eaghtyr, 260 km² jeh ayns thalloo as 8 km² jeh ayns ushtey. Hie yn duillag shoh er ny reaghey er 15 Mean Fouyir 2017, ec 16:04.